Studio Ghibli is revered all over the world for their films that feature lush animation and inventive stories with universal themes. 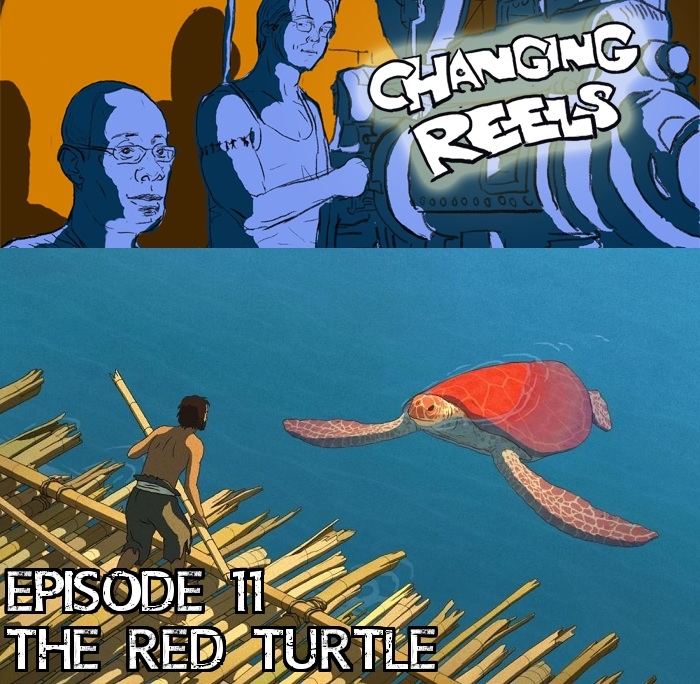 As the studio’s latest film, The Red Turtle, hits theaters, we decided to take a closer look at the companies’ first international production. Directed by Michaël Dudok de Wit, and completely dialogue free, The Red Turtle follows a man who finds himself stranded on an island with a giant turtle. Diving into the film’s sweeping look at nature, the human experience, mysticism, parenting, and all things in between, there is plenty to dissect in this thought-provoking film. We also take a moment to discuss our short film picks of the week: Tsunami and There Will Come Soft Rains. If you like what you hear, or want to offer some constructive criticism, please take a moment to rate our show on iTunes! If you have a comment on this episode, or want to suggest a film for us to discuss, feel free to contact us via twitter (@ChangingReelsAC) or by email (Changing.Reels.AC@gmail.com). You can also hear our show on SoundCloud or Stitcher!